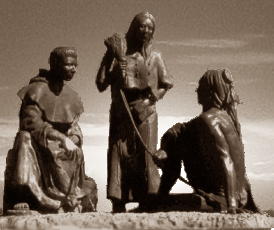 Angelina County, The only county in Texas named for a woman, was named for a Hasinai Indian woman who assisted early Spanish missionaries and they named her Angelina (Little Angel). The Purpose of the Angelina County Historical Commission is to coordinate and supervise the work of historical preservation in Angelina County. This includes the locating of and recommendations for marking historical sites, structures, records, documents, pictures and other related materials, the informing of the community of historical activities, the involvement of the community in historical preservation, and the interaction with other related agencies, groups and civic organizations involved in Angelina County’s historical heritage. Our meetings are held the third Tuesday of January, April, July and October. In accordance with Texas Historical Commission guidelines, members are appointed by the Angelina County Commissioner’s Court.